The real wealth of the nation lies in the resources of the earth: soil, water, forests, minerals and wildlife. To utilize them for future generations requires a delicately balanced and continuing program based on the most extensive research. Those words ring as true today as they did when Rachel Carson wrote them in a 1953 Washington Post Letter to the Editor. The marine biologist and conservationist took any opportunity to teach all ages about the wonder and beauty of the living world. In her book, The Sense of Wonder, she wrote that the greatest gift to a child is “a sense of wonder so indestructible that it would last throughout life.” However, to keep that inborn sense of wonder alive, a child “needs the companionship of at least one adult who can share it." 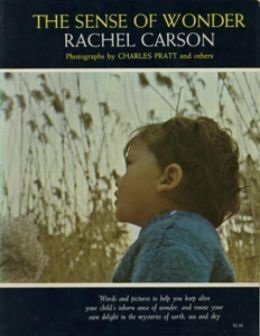 Keeping Carson’s legacy alive, the Environmental Protection Agency (EPA) started The Rachel Carson Intergenerational Sense of Wonder Contest in 2006, which celebrates the intergenerational appreciation of nature in photos, essays, song, poetry, mixed media and dance. Entries are from an intergenerational team (youth and elder) of two or more people. The EPA ran the contest for seven years until the Rachel Carson Landmark Alliance took it over. This is our third year sponsoring the contest. The annual event is important to us because the RCLA’s mission is to continue Carson’s work of teaching all ages to appreciate nature. That appreciation hits home with Carson’s grand-nephew. He was 20 months old, according to The Sense of Wonder, when his grand-aunt (considered to be the “mother of the environmental movement”) took him down to the beach to hear the thundering waves as they threw handfuls of forth at them. They laughed for joy together as the ocean and the dark night roared around them. When I met him several years ago, as a man in his 50s, he said he’s still excited by the ocean. During our time of running the contest, we received a surprise entry in the artwork category. 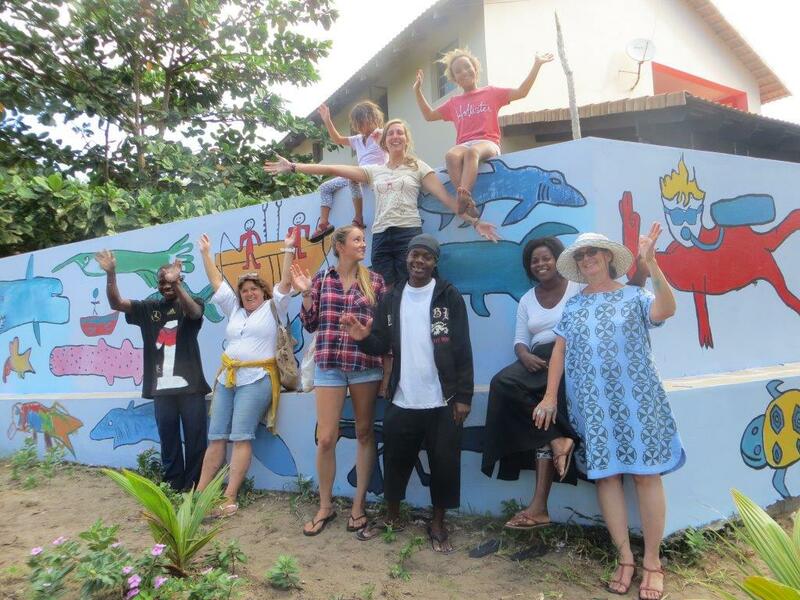 A large group of youth and their mentors in Mozambique worked together on a village project about life and sea animals. They created a large mural and posted it in the village center for all to admire. Learn about our other winners on our website. If you haven’t read The Sense of Wonder, check it out and let it inspire you to express your sense of wonder with someone from another generation. From kindergarten to eighth grade, I was a giddy little Texas girl every time the last school bell sounded at the end of each school year. It meant two things: 1) school was out and 2) I was heading east to spend two months with my grandparents. Before my sister and I got to high school, and our schedules became demanding year-round, we visited our grandparents in a small town out in East Texas. My grandmother taught my sister and me how to braid and sew; and thanks to my grandfather, I could manage money and drive a tractor better than any other 10-year-old I knew. My grandparents still live on the same 20 acres, happily growing fruits and vegetables, raising horses, playing scrabble, and mentoring young boys in the community to their hearts’ content. My intergenerational relationship with my grandparents is what makes this summer internship with Generations United exciting. As a Junior majoring in Sociology at Westminster College in Fulton, MO, I love studying people and their life experiences; where they come from, what their intended destination is, how we all interact and how we can work together for a common goal. For three decades, Generations United has been the catalyst for policies and practices stimulating cooperation and collaboration among generations, evoking the vibrancy, energy and sheer productivity that result when people of all ages come together. As a summer intern, I look forward to working on the Online Resource Guide, 2016 State of Grandfamilies Report and the Intergenerational Program Database. This week's cool idea is the Bridges Program Curricula Suite - a set of four ready-made intergenerational programs - to help communities unite older adults and children through shared experiences and cooperative learning. Over the past 25 years, nearly 15,000 members of bookend generations have been impacted by the Bridges program. The award-winning, evidence-based Bridges Program Curricula Suite unites older adults and children in their communities for shared experiences and cooperative learning. Adults (generally aged 60+) volunteer in a classroom, library or community center once a week for several weeks. Under the guidance of the teacher or trained staff, the volunteers work in pairs to facilitate small groups of students for meaningful discussion and fun activities. The Bridges Program Curricula Suite – a set of four ready-made intergenerational programs for communities who want a proven and complete curriculum— are based on human development theories. Bridges: Our Stories, for preschoolers, uses picture books as the theme; Bridges: Growing Together, for elementary-aged youth, allows participants to explore family histories and cultural touchstones; Bridges: Our Smarts, for middle schoolers, explores the multiple intelligences theory using nature as the theme for each session; and Bridges: Lifelong Journeys, for high schoolers, lets participants delve into topics including recognizing one’s culture, understanding the lifespan, managing finances and using technology responsibly. To see a video showing the Bridges program in action as well as information on two webinars designed for people interested in bringing Bridges to their communities, click here. Got something cool you tried that was successful? Share the inspiration. You can also post them to our Intergenerational Connections Facebook Group. We want to highlight innovative age-optimized programs and practices through our blog, social media and weekly e-newsletter! We could be at a birthday party or cookout. Any time we get together with family outside of our household, my brother will find a way for us all to play Catch Phrase. This game is played in two teams with each member taking turns being the clue-giver. Through verbal clues and physical gestures, they hint at the word on the device screen for their teammates to guess. When the team guesses correctly, the clue-giver passes off the device before the buzzer stops. This game, a staple in our family gatherings, is great for laughs. That memory was sparked during Generations United's bi-weekly staff meeting, which is always started with an ice breaker. This week’s: What is your favorite family activity that is fun for all generations? 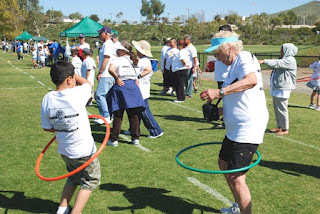 The following activities are ideas for intergenerational family fun. Every evening after work, our Communications Specialist Alan King relaxes by going for a walk around the neighborhood with his family. Those moments for him are a great way to spend time with his wife, mother-in-law, 6-month old daughter and their dog. The walks help him focus less on work and more on the simple pleasures in life. Another simple pleasure is duck pin bowling. Our Deputy Executive Director Jaia Peterson Lent plays this with her husband and son. This kind of bowling includes small pins and balls that allow all ages to participate. One of the best parts about bowling is the period in between turns, when you might do a bit of friendly trash talking, laughing and sharing stories. The latter is what our Policy and Program Assistant Adam Otto enjoys each Sunday he plays bridge with his grandmother and her friends. He looks forward to those games because it’s a great time for him and his grandmother to talk and spend time together. Adam Hlava, our operations and grants manager, looked back on his family trips to their cabin. He described the experience as a dream. There's a lake, paddle boats, family pets and bonfires where he and his cousins would try to out scare each other. Adam says it was a nice way to bring his family together for a getaway full of unstructured fun. 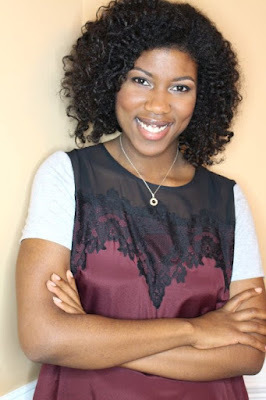 Just then, our Program Manager Emily Patrick smiled. She was reminiscing about her annual family vacations that included a family talent show - one with yodeling grandparents, magic acts, stand-up comedy, and Spice Girls dance numbers performed by Emily and her cousins. Talent shows are great because they create the opportunity for family members in each generation to show off what they got. At family BBQs, Carolyn Walsh – who, like me, is a summer intern – says her family shows what they got in old vs young basketball and their family trivia game. She enjoys swimming in the pool as her grandparents watch. But the trivia game, based on family history, is her favorite. Her uncle heads it up and creates slide shows with questions about their grandparents or other family members. The family splits into teams. On Carolyn’s, she says her mother is always their champion. We’ve shared our favorite intergeneration activities. Now, tell us about yours! This week's cool idea, Minneapolis-based Kairos Alive!, works to promote engagement, health maintenance and prevention, and connections to community for older generations. Under Kairos Alive! is the Kairos Alive! Performance Troupe. This troupe is an intergenerational group that uses dance and storytelling to create a sense of community and well-being in participants of all ages and walks of life. Kairos Alive! Performance Group members span generations, ranging in age from 4 to 100. The Performance Troupe presents 10-12 performances annually featuring works from their past shows, and pieces created in collaboration with partners. The goal of the Kairos Alive! Troupe is to bring dance into the community in order to connect with audiences in traditional and non-traditional venues. Their work draws upon many forms of modern dance, movement improvisation, folk dance, music, song, theater, poetry and oral history traditions from around the world. Kairos Alive! Performance Troupe is the only intergenerational modern dance theater company in Minnesota, and one of only a handful in the U.S. 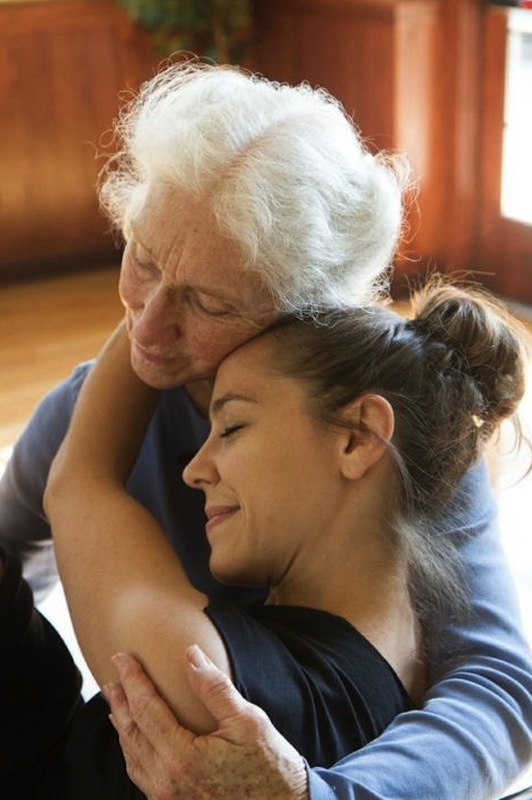 This program is inspiring because their intergenerational, intercultural performances – which are performed at schools, nursing homes, museums, parks, community centers and formal performance spaces – deliver a vision of what community can be: all ages, all backgrounds, all abilities — dancing together. Pokémon Go has taken over. The game launched this past Thursday and is now one of the most downloaded apps ever. So, for those people like myself who know nothing about this universe and have not downloaded the app, here’s a quick breakdown of what it’s all about. The game combines the popular Pokémon world with GPS. This allows fans (also known as trainers) to venture out into the real world and catch Pokémon, or pocket monsters, inside capsules called Pokéballs. Using a smartphone trainers scan their surrounding area to locate Pokémon and catch them by throwing the Pokéballs at them. Okay, now that we’re all caught up, here is why even those of us who may not be interested in the game should take a second look. This app could be a big step to bringing the generations together. 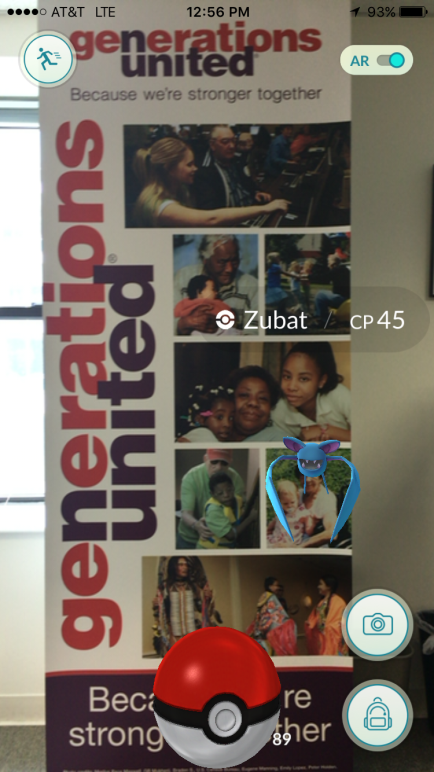 Combined with Generations United Take Action Guide here are a few ways to make the most intergenerational use of Pokémon Go. 1. Stay Active. Although we love our technology, it doesn’t always translate to an active lifestyle. And by “doesn’t always,” I mean almost never. By making people walk this app can help change that. One of the hardest parts about starting an active lifestyle is the starting part. Trust me I should know. I’ve almost ran 3 miles 4 times this week. This app makes it fun and easy to get your exercise. Kids and older adults alike can use this app to get out of the house and start getting active. 2. Take a Tour of Your Town. What better way to explore your area and spend time together than by catching Pokémon and scoring Pokéballs. You can visit parks, churches, museums, local land marks and possibly discover a great new picnic area or hidden nature trail. During this time you can have important conversations, share memories, learn about each other and ultimately get closer. 3. Volunteer. Combine the use of the app with a great volunteer opportunity such as cleaning up your local park. Catch Squirtle (don’t worry I had to look it up too) while you are picking up litter or clearing paths. Level up on the game while leveling up the appearance of your neighborhood park. Sounds like a win-win to me. 4. Keep Each Other Safe. One of the major concerns with the new app is that it has the potential be dangerous. Reinforce with kids and adults that everyone should be safe and alert at all times. Some kids maybe out walking alone, and could venture off farther than they should. An easy way to solve this problem is to have someone go with them. Someone like a grandparent. Having a grandparent around means they can go farther and catch more all while staying safe. 5. Making Connections: Once you get started, you are bound to see other people playing Pokémon Go. Now’s the perfect time to strike up a conversation and build intergenerational connections in the community. Ask questions, share tips, or direct people to a nearby wild Pikachu (the yellow one J). Let us know if you try Pokémon Go with your grandparents, grandkids, or grandfriends and which rare Pokémon you were able to catch! affordable housing community, in Palo Alto. This week's cool idea, linkAges is an online network that connects people of all ages and empowers individuals to improve each other's health by providing opportunities for meaningful connections. The program, featured in the Santa Cruz Sentinel, helps connect people of all ages through an exchange system that relies on abilities and interests. The Sentinel article shows that through the story of Lynda Hyndman, an Australian-born Canadian who moved to Silicon Valley to join her husband, an engineer for a satellite company. She joined the linkAges network after seeing a flyer at the local library. In exchange for offering to wash windows, the 59-year-old connected with people of all ages who gave her rides to the airport, her aerobics sessions and Spanish classes. Read the full story in the Santa Cruz Sentinel. Visit linkAges’ site to learn more. As someone whose mother was raised by her grandmother – Big Mama – I know firsthand the benefits of intergenerational connections. My great-grandmother’s influence on my mother helps shape the way she raises me and my siblings. Big Mama was financially prudent, and as a result ran a household and raised five children on one paycheck. The way she handled money transferred to my mother and was a huge inspiration and the catalyst for my mother’s career of advising her readers on finances. My mother has since transferred her financial sensibilities to me. Another person who directly influences my life is my Grandma Lois. I have so many fond memories of her. Some of the most fun we had were at her holiday arts and crafts parties. We would make and decorate ornaments and dance in our chairs to Christmas music. She always made a point to be at my school events from pre-K to High school and still continues to support me. During stressful times at college, I am constantly comforted by Grandma Lois’s messages of love and encouragement, which always seem to come when I need them most. For example, during my sophomore year, I was preparing for a math exam. I was incredibly nervous and full of self-doubt. The night before the exam, my Grandma Lois randomly sent me a message about how proud of me she was and how I should never doubt myself or my capabilities. Her message carried me through to the exam the next morning and really helped to boost my confidence. That exam ended up being my second highest exam grade for that class. Then there’s my grandfather Charles, or more affectionately known as Pop-Pop, who moved in with my family in the months before he passed away. I am so grateful for the valuable time I was able to spend with him. Those precious memories I will carry with me for the rest of my life. 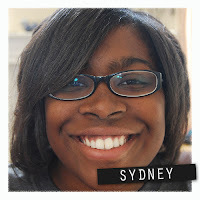 As a rising senior at the University of Maryland-College Park, double majoring in Psychology and Family Science, I hope to one day help develop and strengthen families through therapy. I am excited to be interning at Generations United this summer. I look forward to helping promote Grandparents Day, assisting in adding to and strengthening Generations United’s Intergenerational Programs database and continuing to lend my support to the Programs of Distinction. Family relationships are incredibly important to me. I believe my personal connections with Big Mama, Grandma Lois, and Pop-Pop will help inform and drive my work this summer with Generations United. My elders have given me a unique perspective on the past and they continue to be a guiding light for my future.